The good news is that these reactions are on the decline as more people are starting to travel solo and encourage others to do the same. Unfortunately, there are still some misconceptions when it comes to traveling on your own, especially when you are a solo female traveler. Do you have a dream trip in mind but you don’t have anyone to join you? Or are you looking for a challenge that will leave you with tons of interesting stories and unforgettable memories? 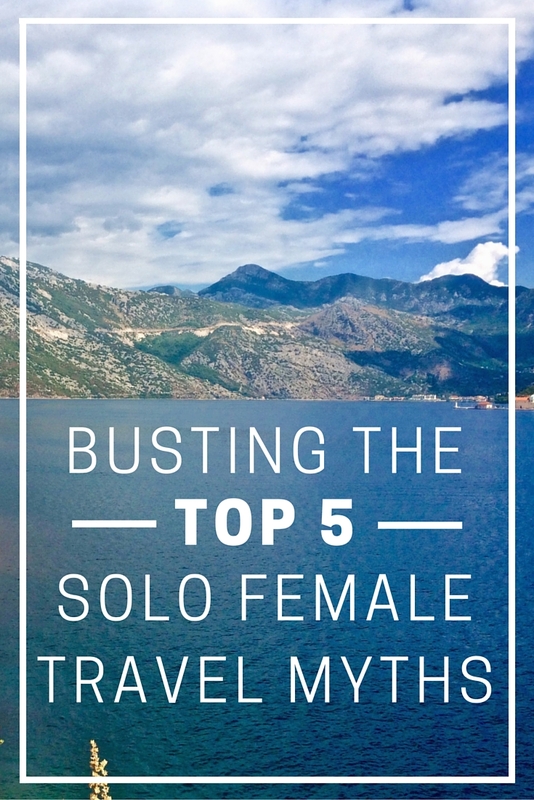 I’m busting five solo female travel myths (guys, the majority of these are applicable to you too!) so you can worry less and start planning that trip of a lifetime! Let’s get one thing straight first. Being alone is not bad. Sometimes you need to be alone and clear your mind, or reflect on your journey so far. By spending time alone you may learn a lot about yourself that you didn’t know before. Loneliness will come around, but it will also leave pretty quickly. There are always other people who will strike up a conversation and befriend you. Or you may start chatting with them. That’s the beauty of traveling by yourself – you can literally make your trip exactly what you want it to be. If you want to hang out with other people, go for it! If not, grab your favorite book and head over to your favorite chill spot for some relaxing alone time. You need loads of money. While travel is definitely not free, it is also not a luxury only for rich people. Despite the advertising and media you see glamorizing the fancy resorts and high end tours, there are countless other more affordable options out there to fit your budget. If you are really short on cash, it’s still not impossible. This is where mindset comes in – if you are absolutely determined and are willing to make the sacrifices necessary, it is possible to make it happen. This may be as simple as spending less on clothes, or it may be a more intense transformation that is more of a lifestyle change like only cooking meals at home or moving someplace less expensive. If you’re flexible with where you go, where you stay, and your style of traveling in general, it is totally possible. 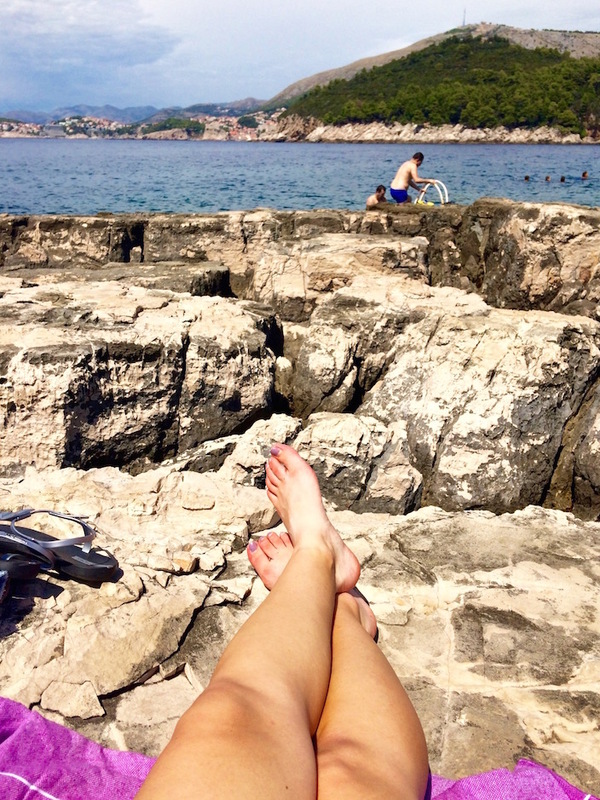 I only paid $30 per night at the hostel I stayed at in Dubrovnik, which is an inexpensive rate for Croatia considering it was peak season in their most popular city for tourism. Take the time to do the research and you may be surprised how affordable travel really can be! The world really isn’t the scary, dangerous place that the media makes it out to be. Of course, some places are much riskier to visit than others, but in my travels I have met some of the kindest and the most welcoming people that have taught me how to trust in the goodness of humankind. Why is it that everyone thinks the safest place to be is at home? Violence and crime happens everywhere in the world, and if you look into actual data it may even be more dangerous at home for some people than the country or city they are traveling to! The key is to keep using common sense, be aware of your surroundings… you know, all the things your mom tells you before leaving the house. Yes, there are unfortunately additional precautions that female travelers should take to stay safe. However, as long as you travel smart, potential danger is no reason for any gender to write off solo travel. Because the truth is, I’d rather face danger and live a life I’m proud of than stay at home scared to try anything new or uncomfortable. It’s embarrassing to eat alone in public. Have you ever thought something like this before? Stop that! Never be embarrassed to be alone. Especially when eating. It’s such a special opportunity to be alone while dining out, as it is one that probably doesn’t happen all that often. Sometimes I use that time to catch up on emails or social media. Other times, I put my devices away and savor the moment. I pay attention to all the little things you wouldn’t notice if you were surrounded by a group of people. I focus on the rich flavors of my meal and the different smells wafting through the air while watching the people around me. 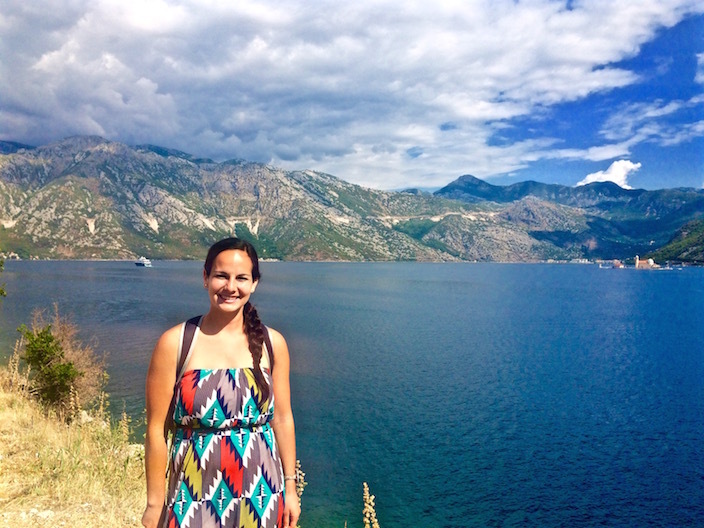 Solo travel is for people who are young, single, don’t have kids, etc. False. This stereotypical solo traveler is exactly that. A stereotype. While you may not be in the majority, it is certainly not unheard of to be a solo traveler that doesn’t fit into these categories. I have met plenty of older solo travelers and I have a boyfriend who can’t always travel with me, but that doesn’t mean I can’t go on my own! I cannot speak from experience about having kids, but A Family Travel Blog has a great post about why moms should travel solo at least once. Don’t let the status quo hold you back. If traveling solo is a dream of yours, by all means go for it! You can spend all day thinking up excuses and “what ifs” for why you shouldn’t travel solo, or even at all. Take the leap and go explore. Prove the solo female travel myths wrong. There are so many opportunities and experiences waiting for you just a plane ride away. Not sure where to begin your own travel journey? Create a free travel profile with Project Travel and get matched with your next adventure! Thanks Sarah! You are spot on in your article and traveling solo as a mom is certainly not my specialty 🙂 I am loving the increase in conversations about this topic as well and am excited to see where it leads! HI there, I loved your post. I travel solo sometimes, but have only done it in the US so far. Even here in the US I get the same question about eating alone. I don’t know why people get so caught up in that. It is so strange to me. I don’t want to sit and eat alone alone in my room or flat or whatever. I’d rather be alone with others and enjoy the experience, lol. Thanks for a great post. Thanks Samantha! It does seem crazy that people get the idea that it’s strange to eat alone in public. I actually met a good friend because we were both having dinner alone and ended up sitting together! As much as I agree with all of the points you made here, I must say – I hate travelling alone. I literally hate it. Normally, I like being alone from time to time and sometimes I like to go away alone and not talk to people, and be with my own thoughts, but after my recent trip to India I decided that I will try to always go with someone else. The reason? I was bored there out of my mind. I went to Kerala in a low season and there was no one I could make real friends with (I am not counting the locals that constantly chatted me up. I mean a travel buddy here). Yes, it is nice to be alone for a few days, but after a bit you just need company, plus it is cheaper to share a room or a taxi. And that’s totally okay! I don’t think traveling alone is for everyone – and I also don’t think it’s for every place. Everyone has a different travel style and solo travel just may not be the most enjoyable choice for each person. However, I think it is awesome that you have at least tried it and put yourself up to the challenge! It’s like my mother always said, “You won’t know if you like it if you never try it.” So the important part Jo is that you have tried it – and that you are honest with yourself about not liking it. Thanks for your comment and happy travels! Well said Marissa! 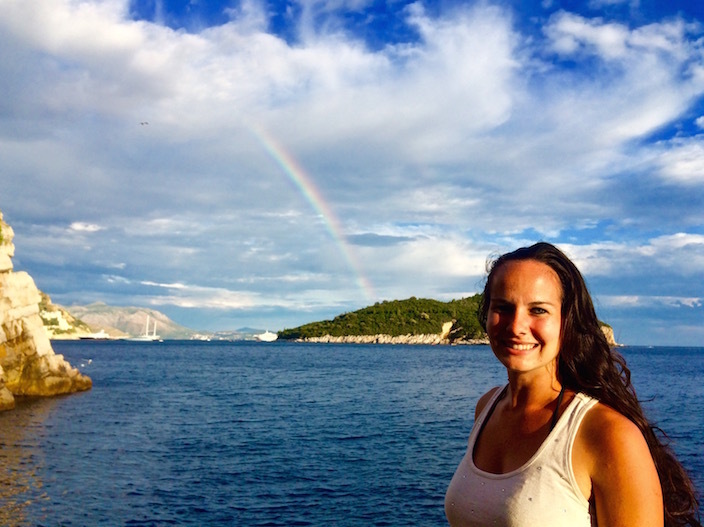 My wife traveled solo – when she and I had just met 7 years ago – and loved it. 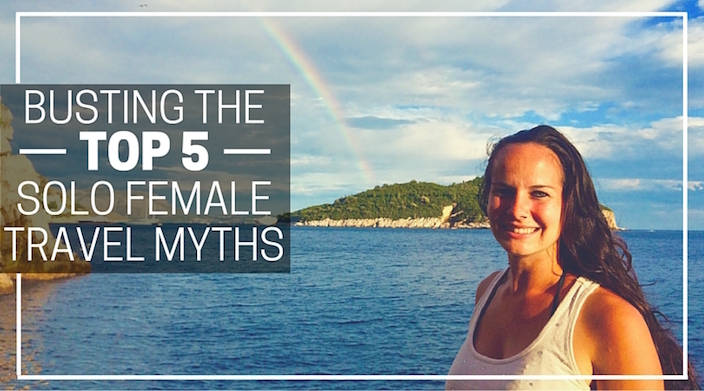 She was my GF at that time 😉 But you busted 5 commonly held myths. I love traveling with my wife yet I TOTALLY know what you mean about eating and traveling alone; you note stuff you’d never notice with friends or fam or anybody around. I also find myself approached by 10 times as many folks when I do short solo trips or when I head out without the partner in tow. Thanks Ryan! I love the stories I have from traveling solo, and the friends I have met along the way – some of which are from eating alone! But there are definitely perks to traveling with a companion as well! Hi Marissa, i enjoyed this post 🙂 I must admit, I fear solo travel immensely, not because of any of the myth’s you mention, but I am just so used to be with someone when I travel that I am anxious at the prospect. I almost get upset when my boyfriend suggests we do some solo travel, as if, ‘Why don’t you want to travel with me!’. But solo travel is just like doing anything solo, sometimes you need that time to yourself. Loved your post, and solo travel for the benefits you’ve mentioned. I also like it for the ability to be more spontaneous. To make quick decisions, jump on a tram on a whim, change plans… without having to consult another person or go along with what the other person would like to do for whatever reason. Thank you. Glad you enjoyed it Anne! Being spontaneous is definitely a major perk of traveling solo 🙂 I love going with the flow and not having to be concerned about what anyone else wants to do! Those myths are ridiculous. We are American ex-pats living overseas. I feel SORRY for the narrow minded folks back in the U.S. who only see Florida or the Caribbean. The more we travel, the more I wonder if I will be able to cope with living back in the U.S. after our 3 short years abroad. We don’t have loads of income, but my husband has a good enough government job, and we prioritize our money. Getting our of debt and traveling are our top 2, and we do both at the same time. Clothes, eating out, expensive cars…not for us. Seeing the world is the BEST EVER! Totally agree, it’s all about priorities! Good one content Marissa. I fully agree with you.